One of the Hawaiian classics, Ei Nei, is a beautiful example of what happens when more modern jazz sounds make their way into Hawaiian music. The version I used for reference is a ripping live performance by the Sean Naauao Trio. 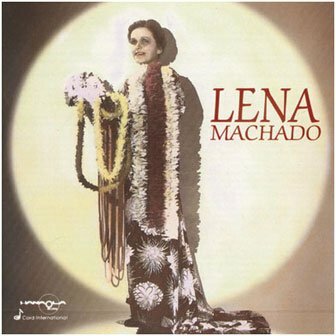 However, the song was written by Lena Machado. You can hear her old arrangement on her Hawaiian Songbird album. It’s in the key of A and has some fun chromatic movements that hang on the salty notes before changing to a sweet maj7 chord.